Map of New London County, Connecticut | Flickr - Photo Sharing! Author: Walling, Henry Francis, 1825-1888. 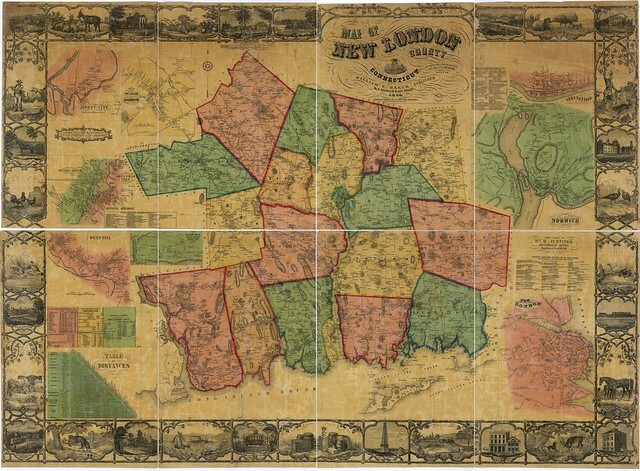 Title: Map of New London County, Connecticut. 1 map: hand col.; 108 x 162 cm. Notes: Reference: LC Land ownership maps, 66. Reproduced from the original map in the Geography and Map Division, Library of Congress. Please contact the Division for copy rights. Odalaigh and Yusuke02 added this photo to their favorites.